What is the FCH JU and what is its mission/objectives? 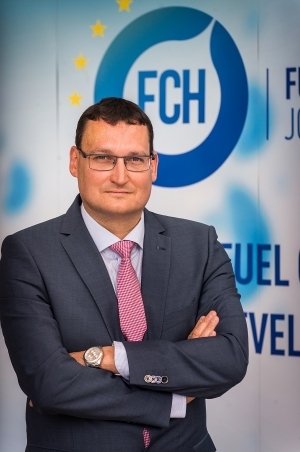 The Fuel Cells and Hydrogen Joint Undertaking was established by a Council Regulation on 30 May 2008 as a public-private partnership between the European Commission, European industry, and research organisations with the objective of accelerating the development and deployment of fuel cell and hydrogen technologies. Our strategic objective is to demonstrate by 2020 fuel cell and hydrogen technologies as one of the pillars of future European energy and transport systems, making a valued contribution to the transformation to a low carbon economy by 2050. Consequently, the FCH JU programme is built around two main research and innovation pillars. Pillar one – energy systems – covers fuel cells for both power and combined heat and power generation, hydrogen production and distribution, and hydrogen for renewable energy generation. The second pillar covers transport, specifically road vehicles, non-road mobile vehicles such as construction and material handling vehicles, refueling infrastructure, and maritime, rail, and aviation applications. Initially operating under the Seventh Research Framework Programme (FP7), the first phase of the FCH JU ran for six years until 2014 with a total EU contribution of €470 million. 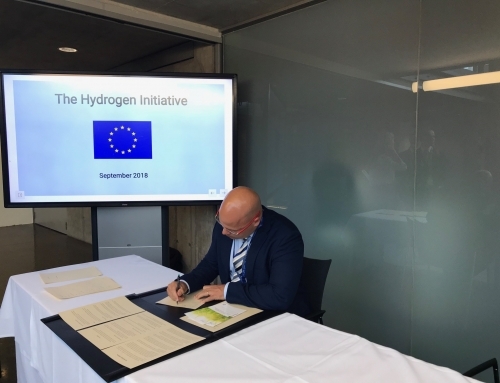 Its success in supporting research, technological development and demonstration activities in fuel cell and hydrogen energy technologies in Europe was recognised with the decision to continue and extend funding under the EU Horizon 2020 Framework Programme. This latest phase, which will run until 2020, foresees an EU contribution of €665 million. How is the EU supporting Fuel Cell micro-Cogeneration? Since its establishment the FCH JU has provided support to stationary applications of fuel cells, including Fuel Cell micro-Cogeneration applications, under its energy pillar. FCH JU support to date amounts to €233 million or 32% of our total funding to date. In the area of stationary applications of fuel cells, the FCH JU is supporting from research and development all the way to demonstration in real applications. Early research activities focused on activities at cell and stack level with the objective of extending fuel cell stack lifetime. In addition, research projects have been fundamental to enable cost reductions for technologies in the demonstration projects. Under the second phase, the FCH JU increased activities in diagnostics, materials and manufacturing methods. Looking at Fuel Cell micro-Cogeneration technology validation, in 2010 the FCH supported a small field trial which saw around 65 Fuel Cell micro-Cogeneration units installed. Since then we have, and are still, supporting large-scale demonstration projects. Launched in 2012, the FCH JU-funded project ene.field has supported the installation of 1,046 Fuel Cell micro-Cogeneration units for residential and small commercial buildings across the EU. The project results have allowed the participating manufacturers to gain insights, refine their technologies and business models, and develop a track record of installations. Following a study commissioned by the FCH JU on “Stationary Applications of Fuel Cells”, which confirmed the achievements and the roadmap for this technology, a number of ene.field manufacturers joined forces with other partners in PACE, a five-year project to bring Fuel Cell micro-Cogeneration technology closer to mass commercialisation. This project is again backed by the FCH JU and aims to install 2,650 units. It will allow manufacturers to scale-up production and improve further the durability of the fuel cells at the core of the units. This should also help to reduce the cost of production by a further 30-40 per cent. What are the main benefits of Fuel Cell micro-Cogeneration? Fuel Cell micro-Cogeneration is already making available highly efficient distributed energy solutions for heat and power generation near the point of consumption. At smaller (micro) size, units are typically installed in residential or small commercial buildings and are able to respond to demand for heating and hot water in buildings while generating electricity to replace or complement electricity supplied by the grid. Fuel cells produce electricity and heat from hydrogen, which Fuel Cell micro-Cogeneration units typically generate by internally transforming natural gas from the grid. Fuel Cell micro-Cogeneration is not only highly efficient but they also have zero or negligible impact on local air quality. This is the case because fuel cells are electrochemical conversion devices and hence do not rely on combustion. This technology has the potential to support the EU climate and energy targets. 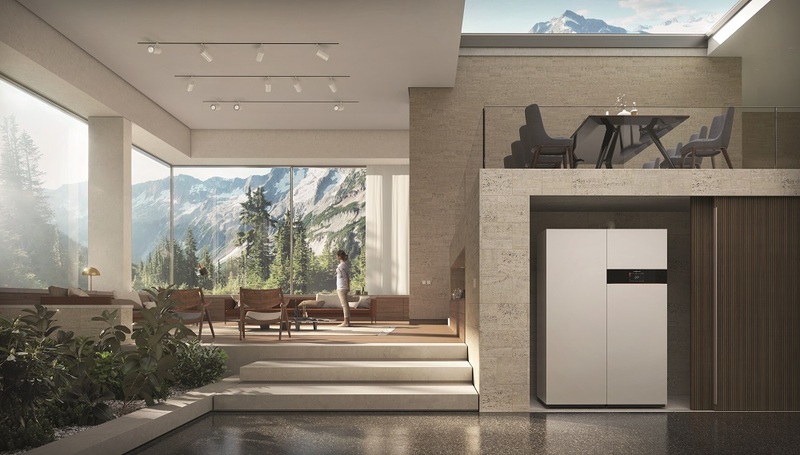 Compared to a state-of-the-art condensing boiler and grid power supply, Fuel Cell micro-Cogeneration units can reduce carbon dioxide emissions by at least 30% and in some cases by up to 80%. Finally, fuel cells are fuel flexible. Currently, Fuel Cell micro-Cogeneration runs mostly on natural gas. However, they are able to run on a variety of fuels including “green gases” such as biogas or hydrogen generated with renewables. In a scenario with a large penetration of green gases, fuel cells would offer zero carbon heat and power generation. What are the major obstacles to overcome before Fuel Cell micro-Cogeneration technology is rolled out to the mass market? As mentioned before, early projects focus on the research at cell and fuel cell stack level with the objective to increase stack lifetimes. This was necessary to allow manufacturers to develop end user products acceptable for market entry. We can now say that we are there. The ene.field project has seen the installation of 1,046 units and has helped to demonstrate that the technology is fit for purpose. Performances have been confirmed in the field, and system availabilities have been demonstrated in line with customers’ needs. Still, costs remain high. This is the case despite the significant cost reductions that have been achieved to date. So what are we doing on this? As mentioned before, the ongoing project PACE is supporting manufacturers to install large volumes of units, in excess of 500 units per manufacturer. With these volumes PACE should help to unlock economies of scale in manufacturing. In addition, the PACE project is installing the next generation of products with improved technical performance and new designs, leading to further cost reductions. Taken together, this could lead to further cost reductions of 30-40%. On top of the work we are doing at EU level, national level support programmes have been put in place in some countries like the UK and Germany. 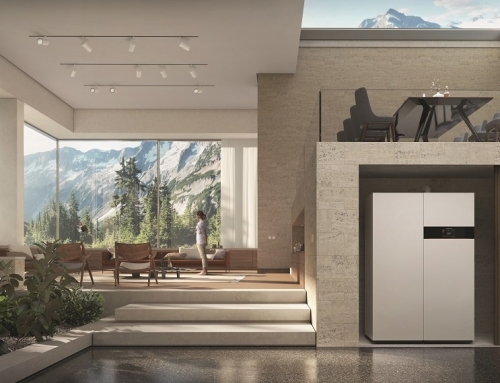 In Germany, a newly introduced incentive was launched at the end of 2016, KfW 433, to help establish Fuel Cell micro-Cogeneration in the country. 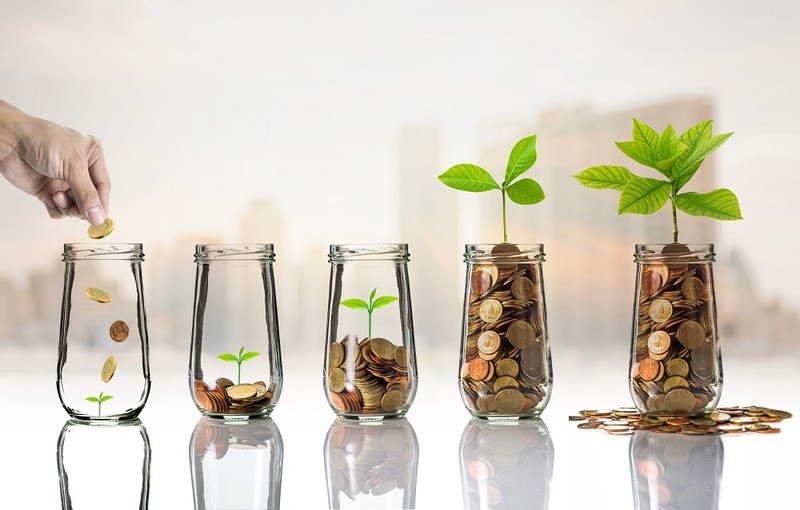 This scheme provides support in the form of a one-off payment contribution to the CAPEX, by enabling the consumers to get a grant that would bring down their total investment by €10-12,000 per system. The scheme is designed to help market introduction and aims to achieve sales in the order of tens of thousands in the years to come. Thanks to all the activities just mentioned, we can also see how private investment is being attracted to this sector. 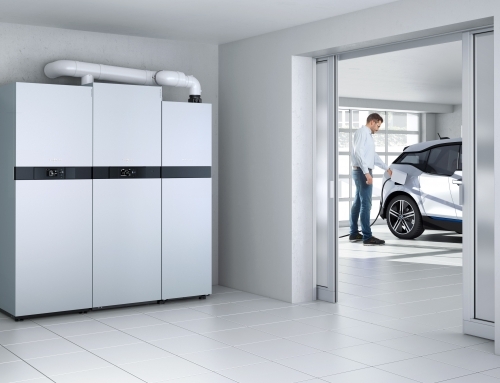 For instance very recently one EU fuel cell OEM secured an investment of €40 million what will allow for the expansion of production capacities of this OEM from the current 1,500 to 16,000 fuel cell generators annually by 2020. To date we have been able to demonstrate that the technology is ready to deliver. 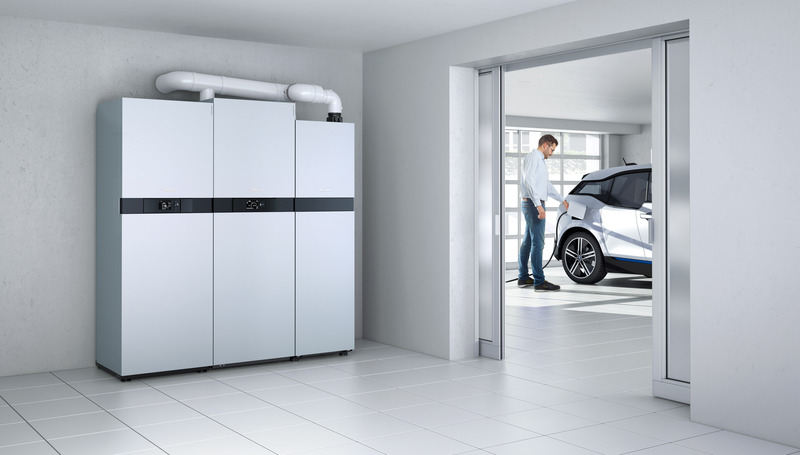 The EU has supported the installation of 1,046 units, and an equivalent amount has already been installed thanks to the German national support scheme. We are still far from the figures of Japan, where hundreds of thousands of units have already been installed. 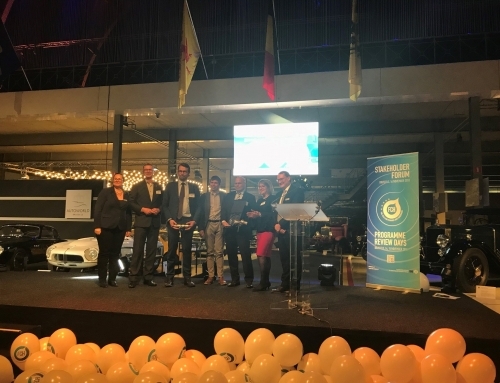 However, thanks to the support we have provided and the commitment of EU manufacturers, we can now say that the EU is a world leader in Fuel Cell micro-Cogeneration applications, especially Solid Oxide Fuel Cells technology. It is also important to remember that some of these companies are SMEs. We are glad to see that the support we have provided them since the early stages of product development has materialised into concrete commercial propositions. Qu’est-ce que l’entreprise commune FCH JU et quels sont ses missions/objectifs ? L’Entreprise Commune « Fuel Cells and Hydrogen Joint Undertaking » (FCH JU) a été établie par une Régulation du Conseil datant du 30 Mai 2008 et est définie comme étant un partenariat public-privé réunissant la Commission Européenne, l’industrie européenne et des organismes de recherche avec l’objectif d’accélérer le développement et déploiement des technologies de piles à combustible et d’hydrogène. Notre objectif stratégique est de démontrer d’ici 2020 que ces technologies sont au cœur des futurs systèmes énergétiques et de transport européens, et peuvent contribuer de manière précieuse à la transformation vers une économie durable et sobre en carbone d’ici 2050. Pour cette raison, le programme de l’entreprise commune FCH JU est construit autour de deux piliers de recherche et d’innovation. Le premier pilier – systèmes énergétiques – couvre les piles à combustibles pour l’énergie et la cogénération de chaleur ainsi que la génération d’électricité, mais également la production et distribution d’hydrogène, et l’hydrogène pour la production d’énergie renouvelable. Le deuxième pilier couvre le transport, spécifiquement les véhicules routiers, les engins mobiles non routiers (construction, appareils de manutention), l’infrastructure de ravitaillement ainsi que le transport maritime, ferroviaire et l’aviation. La première phase de travail de l’entreprise commune FCH JU s’est déroulée sous l’égide du septième programme-cadre pour la recherche (FP7) pendant six ans jusqu’en 2014 avec une contribution européenne s’élevant à 470€ millions. Grâce à la réussite du projet qui a soutenu la recherche, le développement technologique et la démonstration d’activités dans le domaine des piles à combustibles et de l’hydrogène en Europe, il a été décidé de continuer à financer ce projet sous l’égide du programme cadre européen EU Horizon 2020. Cette dernière phase, qui se poursuivra jusqu’en 2020, devrait recevoir une contribution européenne de 665€ millions. Comment l’Union Européenne vient-elle au soutien de la micro-Cogénération par pile à combustible ? Depuis son établissement, l’entreprise commune FCH JU a apporté son soutien aux applications stationnaires de piles à combustibles, incluant les applications de micro-Cogénération par pile à combustibles, au titre de son pilier énergétique. Le soutien financier de FCH JU jusqu’à aujourd’hui s’élève à 233€ millions soit 32% de notre budget total jusqu’à aujourd’hui. Dans le domaine des applications de pile à combustible, le soutien de la FCH JU s’étend de la recherche au développement jusqu’à la démonstration d’activités en conditions réelles. Les activités de recherche initiales se sont concentrées sur la cellule et la pile avec l’objectif d’étendre la durée de vie de la pile à combustible. En outre, les projets de recherche ont été fondamentaux dans la réduction des coûts des technologies utilisées pour les démonstrations. Pour la deuxième phase de ses travaux, la FCH JU a intensifié ses activités dans le domaine du diagnostic, des matériaux et des méthodes de fabrication. Quant à la validation de la technologie de micro-Cogénération par pile à combustible, en 2010, la FCH a contribué à un petit essai sur le terrain où environ 65 unités de micro-Cogénération par pile à combustible ont été installées. Depuis nous avons et nous continuons à supporter des projets de démonstration à grande échelle. Lancé en 2012, le projet ene.field financé par la FCH JU a déjà contribué à l’installation de 1046 unités de micro-Cogénération par pile à combustible pour des établissements résidentiels et petits établissements commerciaux à travers l’Union Européenne. Les résultats du projet ont permis aux fabricants participants d’améliorer leurs connaissances, de raffiner leurs technologies et modèles commerciaux ainsi que de faire un bilan des installations. Suite à la publication d’une étude commissionnée par la FCH JU intitulée “Stationary Applications of Fuel Cells” qui a confirmé le succès et le potentiel futur de cette technologie, plusieurs fabricants d’ene.field se sont associés avec d’autres partenaires au sein de PACE, un projet de cinq ans ayant pour but de rapprocher la technologie de micro-Cogénération du stade de commercialisation de masse. Ce projet est encore une fois soutenu par la FCH JU et aspire à installer 2,650 unités. Ceci permettra aux fabricants d’accroître leur capacité de production et d’améliorer encore la durabilité des piles à combustible, qui sont au cœur des unités. Ce projet aidera à réduire de nouveau le coût de production de 30 à 40%. Quels sont les principaux atouts de la micro-Cogénération par pile à combustible ? La micro-Cogénération par pile à combustible réussit déjà à mettre à disposition des solutions hautement efficaces de distribution d’énergie pour la génération de chaleur et d’électricité à proximité du lieu de consommation. D’une taille plus petite (micro), les unités sont typiquement installées dans des bâtiments résidentiels ou des petits établissements commerciaux et sont capables de répondre à des demandes de chauffage ou d’eau chaude tout en générant de l’électricité pour remplacer ou compléter l’électricité fournie par le réseau. Les piles à combustible utilisent l’hydrogène pour produire de la chaleur et de l’électricité, qui sont générées par les unités de micro-Cogénération par pile à combustible en transformant le gaz naturel fourni par le réseau. La micro-Cogénération par pile à combustible n’est pas seulement hautement efficace mais n’a également pas d’impact (ou seulement négligeable) sur la qualité de l’air local. Ceci s’explique par le fait que les piles à combustible sont des dispositifs de conversion électrochimique et ne dépendent pas d’une combustion. Cette technologie a le potentiel de contribuer aux objectifs climatiques et énergétiques de l’UE. Comparées à des chaudières à condensation ou des systèmes d’alimentation électrique en réseau de pointe, les unités de micro-Cogénération par pile à combustible peuvent réduire les émissions de dioxyde de carbone d’au moins 30% et même dans certains cas jusqu’à 80%. La micro-Cogénération par pile à combustible est également une solution de production d’électricité très contrôlable. Ainsi, en principe les unités de micro-Cogénération par pile à combustible distribuées (géographiquement) peuvent être regroupées pour constituer une seule centrale électrique virtuelle (VPP), contrôlée centralement. Ce concept pourrait permettre aux fournisseurs d’énergie et aux exploitants des réseaux de surmonter les principaux problèmes auxquels ils sont confrontés aujourd’hui, comme la gestion de la volatilité de la production d’énergie renouvelable. Ce concept n’a pas encore fait l’objet d’une démonstration à grande échelle, avec des VPP contenant au moins plusieurs centaines d’unités de pile à combustible. Enfin, les piles à combustible sont flexibles. Actuellement, la micro-Cogénération par pile à combustible fonctionne majoritairement avec du gaz naturel. Cependant, elles sont capables de fonctionner avec une variété de combustibles, incluant des « gaz verts », tels que le biogaz ou l’hydrogène générée par des énergies renouvelables. Dans l’hypothèse d’une plus large pénétration de ces “gaz verts” sur le marché, les piles à combustible pourrait offrir la possibilité de créer de l’énergie et de la chaleur zéro carbone. Quels sont les principaux obstacles à surmonter afin que technologie de cogénération par pile à combustible soit déployée sur le marché de masse? Comme mentionné précédemment, les premiers projets se concentrent sur la recherche au niveau des piles et des piles à combustible dans le but d’augmenter la durée de vie des piles. Cela était nécessaire pour permettre aux fabricants de développer des produits finaux aptes à faire leur entrée sur le marché. Nous pouvons maintenant dire que nous en sommes là. Le projet ene.field a vu l’installation de 1 046 unités et a permis de démontrer que la technologie est adaptée à l’usage prévu. Les performances ont été confirmées sur le terrain et les disponibilités du système ont été démontrées en fonction des besoins des clients. Pourtant, les coûts restent élevés, et cela malgré des réductions significatives. Alors, que pouvons-nous faire? Comme mentionné précédemment, le projet en cours PACE aide les fabricants à installer de grands volumes d’unités, soit plus de 500 unités par fabricant. Avec ces volumes, PACE devrait aider à réaliser des économies d’échelle chez les fabricants. En outre, le projet PACE est en train d’installer la prochaine génération de produits avec des performances techniques améliorées et de nouvelles conceptions, conduisant à de nouvelles réductions de coût, pouvant aller jusqu’à 30 à 40%. En plus du travail que nous faisons au niveau de l’UE, des programmes de soutien au niveau national ont été mis en place dans certains pays comme le Royaume-Uni et l’Allemagne. En Allemagne, une nouvelle incitation a été introduite fin 2016, KfW 433, pour aider à introduire la technologie de Cogénération par pile à combustible la micro-Cogénération par pile à combustible dans le pays. Ce programme apporte un soutien sous la forme d’une contribution unique au CAPEX, en permettant aux consommateurs d’obtenir une subvention qui réduirait leur investissement total de 10 000 à 12 000 euros par système. L’objective de ce programme est de réaliser des dizaines de milliers de ventes dans les années à venir. A travers ces activités, nous voyons que l’investissement privé est attiré par ce secteur. Par exemple, très récemment, un OEM européen de piles à combustible a obtenu un investissement de 40 millions d’euros, ce qui permettra d’augmenter les capacités de production de ce fabricant d’origine, passant de 1 500 à 16 000 générateurs de piles à combustible par an d’ici 2020. À ce jour, nous avons pu démontrer que la technologie est prête à être livrée. L’UE a soutenu l’installation de 1 046 unités, et un montant équivalent a déjà été installé grâce au programme de soutien national allemand. Nous sommes encore loin des chiffres du Japon, où des centaines de milliers d’unités ont déjà été installées. Cependant, grâce au soutien que nous avons fourni et à l’engagement des fabricants européens, nous pouvons affirmer que l’UE est un leader mondial dans les applications de micro-Cogénération par pile à combustible, notamment la technologie des piles à combustible à oxyde solide (SOFC). Il est également important de rappeler que certaines de ces entreprises sont des PME. Nous sommes heureux de constater que le soutien que nous leur avons apporté depuis les premières étapes du développement du produit s’est concrétisé en propositions commerciales. Wat is de FCH JU en wat zijn haar missie en doelen? De Fuel Cells en Hydrogen Joint Undertaking werd op 30 mei 2008 opgericht door een Europese verordening als een publiek-private samenwerking tussen de Europese Commissie en Europese industrie- en onderzoeksorganisaties, met als doel om de ontwikkeling en het inzetten van brandstofcel- en waterstoftechnologieën te versnellen. Ons strategisch doel is om tegen 2020 brandstofcel- en waterstoftechnologieën te positioneren als een van de toekomstige pijlers van de Europese energie- en transportsystemen, en hiermee een waardevolle bijdrage te kunnen leveren aan de transformatie naar een CO2-arme economie tegen 2050. Bijgevolg is het FCH JU programma gestoeld op twee grote pijlers van onderzoek en innovatie. Pijler één – energie– omvat brandstofcellen voor zowel stroom als gecombineerde warmte- en stroomgeneratie, waterstofproductie en –distributie en waterstof voor het opwekken van hernieuwbare energie. De tweede pijler omvat transport, zowel voertuigen voor wegtransport als vervoersmiddelen voor transport dat niet via de weg gebeurt, zoals machines voor de bouw en goederenbehandeling, infrastructuur om bij te tanken en maritieme, spoor- en luchtvaarttoepassingen. De eerste fase van het FCH JU liep gedurende zes jaar – tot 2014 – onder het Seventh Research Framework Programme (FP 7), met een bijdrage van de Europese Unie van €470 miljoen. De erkenning van het succes van dit programma wat betreft het ondersteunen van onderzoek, technologische ontwikkeling en activiteiten die brandstofcel- en waterstoftechnologieën demonstreerden in Europa, leidde tot de beslissing om de financiële steun verder te zetten en zelfs uit te breiden onder het EU Horizon 2020 Framework Programme. Deze laatste fase, die zal lopen tot 2020, rekent op een bijdrage van de EU van €665 miljoen. Hoe ondersteunt de EU brandstofcel micro-cogeneratie? Vanaf het moment dat het werd opgericht bood FCH JU, onder haar pijler energie, (financiële) ondersteuning voor stationaire toepassingen van brandstofcellen, waaronder toepassingen van brandstofcel micro-cogeneratie. Tot op heden bedraagt de totale steun van FCH JU €233 miljoen; dit is 32% van onze totale financiering. Op vlak van stationaire toepassingen van brandstofcellen, ondersteunt FCH JU het hele traject, van R&D tot de demonstratie van de technologie in bestaande toepassingen. Vroegere onderzoeksactiviteiten focusten op activiteiten op cel- en stapelniveau, met als doel om de levensduur van stapels van brandstofcellen te verlengen. Daarnaast zijn onderzoeksprojecten van groot belang gebleken om de kosten terug te dringen tijdens de demonstratieprojecten. Tijdens de tweede fase heeft FCH JU haar activiteiten in de diagnostiek, materialen en productiemethoden verhoogd. In 2010 ondersteunde FCH JU een kleinschalig veldonderzoek omtrent de validering van de brandstofcel micro-cogeneratie technologie. Er werden ongeveer 65 brandstofcel micro-cogeneratie eenheden geïnstalleerd. Sindsdien zijn we overgestapt naar de ondersteuning van grootschalige demonstratieprojecten. Het project ene.field, dat in 2012 gelanceerd werd met financiering van FCH JU, ondersteunde de installatie van 1046 brandstofcel micro-cogeneratie eenheden voor residentiële en kleine commerciële gebouwen over heel de Europese Unie. De resultaten van het project hebben de deelnemende producenten heel wat inzichten verschaft. Daarenboven heeft het project producenten de mogelijkheid geboden om hun technologieën en businessmodellen te verfijnen en een track record van installaties op te bouwen. Naar aanleiding van een studie in opdracht van de FCH JU over “Stationaire toepassingen van brandstofcellen”, die de verwezenlijkingen van en stappenplan voor deze technologie heeft bevestigd, hebben een aantal producenten die deelnamen aan ene.field hun krachten gebundeld met andere partners in PACE. Het gevolg is een project van vijf jaar, met als doel brandstofcel micro-cogeneratie technologie een stap dichter bij commercialisatie op grote schaal te brengen. Dit project wordt opnieuw ondersteund door de FCH JU en heeft als doel 2.650 eenheden te installeren. Ene.field zal producenten de mogelijkheid bieden om hun productie te vergroten en de duurzaamheid van de brandstofcellen verder te vergroten in de kern van zijn eenheden. Dit zou ook de productiekost met nog eens 30 tot 40 procent moeten helpen reduceren. Wat zijn de belangrijkste voordelen van brandstofcel micro-cogeneratie? Brandstofcel micro-cogeneratie zorgt al voor uiterst efficiënte oplossingen voor energiedistributie voor warmte- en stroomgeneratie dicht bij het punt van verbruik. Op kleinere (micro-)schaal, worden eenheden vaak geïnstalleerd in residentiële of kleine commerciële panden en kunnen ze zorgen voor de verwarming en het warm water in gebouwen. En dit terwijl ze elektriciteit genereren om de stroom die door het net wordt geleverd aan te vullen of te vervangen. Brandstofcellen produceren elektriciteit en warmte uit waterstof, waarbij brandstofcel micro-cogeneratie eenheden binnenin gas van het net omzetten in elektriciteit en warmte. Brandstofcel micro-cogeneratie is niet enkel erg efficiënt, maar heeft ook geen of slechts een verwaarloosbare impact op de lokale luchtkwaliteit. Dit is zo omdat brandstofcellen elektrochemische conversie-apparaten zijn en bijgevolg geen gebruik maken van verbranding. Deze technologie heeft het potentieel om de EU-doelstellingen rond klimaat en energie te helpen behalen. Vergeleken met state-of-the art condensatieketels en stroomtoevoer via het net, kunnen micro-cogeneratie eenheden CO2-uitstoot met tenminste 30% – en in sommige gevallen zelfs tot 80% – verminderen. Brandstofcel micro-cogeneratie is ook een hoogst controleerbare oplossing om energie op te wekken. Bijgevolg kunnen brandstofcel micro-cogeneratie eenheden, die (geografisch gezien) verspreid zijn, in principe geclusterd worden in één virtuele energiecentrale, die centraal beheerd wordt. Dit concept kan nutsbedrijven en netoperatoren de nodige argumenten bezorgen die hun belangrijkste zorgen tenietdoen, zoals het beheren van de variabiliteit van de opwekking van hernieuwbare energie. Dit moet nog op grote schaal aangetoond worden, d.i. in virtuele energiecentrales met ten minste meerdere honderden brandstofcellen. Brandstofcellen zijn flexibel wat de soort brandstof betreft. Op dit moment werkt brandstofcel micro-cogeneratie vooral op aardgas. Desalniettemin kunnen brandstofcel micro-cogeneratie eenheden ook werken op verschillende soorten brandstoffen, waaronder “groene gassen” zoals biogas of waterstof, gegenereerd door hernieuwbare energiebronnen. In een scenario waarin groene gassen sterk zijn doorgedrongen, zouden brandstofcellen in verwarming kunnen voorzien zonder CO2-emisies, evenals CO-2 arme stroom kunnen genereren. Wat zijn de grootste hinderpalen die moeten overwonnen worden vooraleer brandstofcel micro-cogeneratie technologie kan uitgerold worden voor het brede publiek? Zoals eerder vermeld, focusten eerdere projecten op cel- en stapelniveau van de brandstofcellen, met als doel de stapel levensduurte te verhogen. Dit was nodig om producenten in staat te stellen eindproducten te ontwikkelen die op de markt konden geplaatst worden. We kunnen nu zeggen dat we op dit punt gekomen zijn. Het ene.field project zorgde voor de installatie van 1.046 eenheden en heeft aangetoond dat de technologie zijn nut bewijst. De prestaties van de technologie werden bevestigd in de praktijk en de mogelijkheden van het systeem zijn bewezen en liggen in de lijn van de noden van de klanten. De kosten blijven echter hoog. Dit blijft het geval, ondanks de significante kostenverlagingen die er de afgelopen jaren al geweest zijn. Wat doen we hieraan? Zoals eerder vermeld, steunt het huidige PACE project producenten om grotere hoeveelheden te installeren, d.i. meer dan 500 eenheden per producent. Daarnaast installeert het PACE project de volgende generatie producten met verbeterde technische prestaties en nieuwe designs, wat leidt tot verdere kostenbesparingen. Alles samengenomen, kan dit leiden tot verdere kostenbesparingen van 30 tot 40 procent. Bovenop het werk dat wij realiseren op EU-niveau, zijn ondersteuningsprogramma’s op nationaal niveau opgestart in enkele landen, zoals het Verenigd Koninkrijk en Duitsland. In Duitsland werd eind 2016 een nieuwe incentive gelanceerd – KfW 433 – om het gebruik brandstofcel micro-cogeneratie in het land aan te moedigen. Dit schema biedt ondersteuning in de vorm van een eenmalige bijdrage aan het CAPEX, door consumenten de kans te geven om een lening aan te gaan, die hun totale investering terug zou brengen op €10.000-€12.000 per systeem. Het schema is ontworpen om marktpenetratie te stimuleren en heeft als doel de verkoop de komende jaren tot in de tienduizenden te laten toenemen. Dankzij alle inspanningen en activiteiten hiervoor vermeld, zien we ook dat privé-investeerders interesse hebben in deze sector. Zo was er recent een investering van €40 miljoen in de EU brandstofcel OEM, wat zal zorgen voor de uitbreiding van de productiecapaciteiten van deze OEM van de huidige 1.500 naar jaarlijks 16.000 brandstofcelgeneratoren tegen 2020. Wat hebben we tot nu toe al bereikt? Tot op heden zijn we er al in geslaagd om aan te tonen dat de technologie klaar is om zijn vruchten af te werpen. De EU heeft de installatie van 1.046 eenheden ondersteund, en een gelijkaardig aantal werd reeds geïnstalleerd dankzij het Duits nationaal ondersteuningsschema. We zitten wel nog ver van de cijfers in Japan, waar al honderdduizenden eenheden geïnstalleerd zijn. Daarentegen kunnen we dankzij de steun en toewijding die we bieden aan producenten in de EU, zeggen dat de EU wereldmarktleider is in brandstofcel micro-cogeneratie toepassingen, voornamelijk in de Vaste Oxide brandstofceltechnologie. Het is ook belangrijk te onderstrepen dat sommige van deze bedrijven kmo’s zijn. We zijn verheugd te zien dat onze steun hen vanaf de beginstadia in de productontwikkeling geholpen heeft om ze om te zetten in concrete commerciële offertes. Cos’è il FCH JU e qual è la sua missione/obiettivo? La Fuel Cells and Hydrogen 2 Joint Undertaking è stata istituita da un Regolamento del Consiglio dell’Unione Europea il 30 maggio 2008 sotto forma di partenariato pubblico-privato tra la Commissione europea, l’industria europea e le organizzazioni di ricerca, con l’obiettivo di accelerare lo sviluppo e la diffusione della tecnologia a celle a combustibile e a idrogeno. Il nostro obiettivo strategico è di affermare entro il 2020 la tecnologia a celle a combustibile e a idrogeno come uno dei pilastri dei sistemi energetici e di trasporto europei del futuro, dando un prezioso contributo alla trasformazione in un’economia a basse emissioni di carbonio entro il 2050. Di conseguenza, il programma FCH JU è costruito intorno a due principali pilastri di ricerca e innovazione. Il primo pilastro – riferito ai sistemi energetici – riguarda le celle a combustibile per la generazione di energia elettrica e termica combinata, la produzione e la distribuzione di idrogeno e l’idrogeno per la generazione di energia rinnovabile. Il secondo pilastro riguarda invece i trasporti, in particolare i veicoli stradali, i veicoli mobili non stradali come i veicoli per la costruzione e la movimentazione dei materiali, le infrastrutture di rifornimento e le applicazioni marittime, ferroviarie e aeronautiche. La prima fase dell’FCH JU, coordinata attraverso il Seventh Research Framework Programme (FP7), è durata sei anni e si è conclusa nel 2014 dopo aver percepito contributi Europei per un totale di 470 milioni di euro. 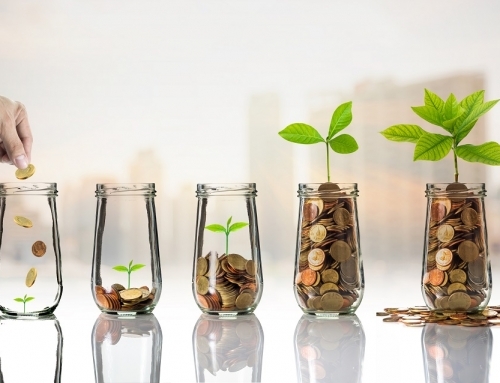 Il suo successo nel supportare la ricerca, lo sviluppo tecnologico e le attività pubblicitarie riferite alle tecnologie a celle a combustile e a idrogeno in Europa ha determinato la decisione dell’Unione Europea di continuare ad investire in questa tecnologia innovativa utilizzando i fondi riservati al programma Horizon 2020. Quest’ultima fase, in programma fino al 2020, prevede una contribuzione totale di 665 milioni di euro. In che modo l’Unione Europea supporta la micro-generazone a celle a combustibile? Dalla sua Fondazione l’FCH JU ha garantito supporto alle applicazioni fisse di celle a combustile, incluse quelle riferite alla micro-generazione a celle a combustibile, contenute all’interno dei suoi pilastri energetici. Il supporto di FCH JU fino ad oggi ammonta a 233 milioni di euro, ovvero il 32% dei fondi totali. Nell’area delle applicazioni fisse di celle a combustibile, l’FCH JU supporta tutte le fasi dalla ricerca e lo sviluppo fino alla dimostrazione finale nei contesti reali. Le attività iniziali di ricerca si focalizzano sulla cellula, con l’obiettivo di estendere la durata della cella a combustibile. Inoltre, i progetti di ricerca sono stati fondamentali per garantire riduzioni nei costi per le tecnologie contenute all’interno dei progetti esplicativi e pubblicitari. All’interno della seconda fase, l’FCH JU ha aumentato le attività diagnostiche, sui materiali e sui metodi manufatturieri. Considerando la convalida della tecnologia di micro-cogenerazione a celle a combustibile, nel 2010 l’FCH ha sostenuto una piccola prova sul campo che ha visto l’installazione di circa 65 unità di micro-cogenerazione a celle a combustibile. Da allora abbiamo, e continuiamo a sostenere progetti di dimostrazione su larga scala. Lanciato nel 2012, il progetto finanziato dall’ENF di FCH ene.field ha supportato l’installazione di 1.046 unità di micro-cogenerazione a celle a combustibile per edifici residenziali e piccoli edifici commerciali in tutta l’UE. I risultati del progetto hanno permesso ai produttori partecipanti di ottenere informazioni approfondite, perfezionare le loro tecnologie e modelli di business e sviluppare un track record di installazioni. A seguito di uno studio commissionato dall’impresa comune FCH sulle “Applicazioni stazionarie delle celle a combustibile” , che ha confermato i risultati e la tabella di marcia per questa tecnologia, diversi produttori di ene.field hanno unito le forze con altri partner in PACE, un quinquennio progetto per avvicinare la tecnologia della micro-cogenerazione a celle a combustibile alla commercializzazione di massa. Questo progetto è di nuovo supportato dall’impresa FCH e ha l’obiettivo di installare 2.650 unità. Consentirà ai produttori di aumentare la produzione e migliorare ulteriormente la durata delle celle a combustibile al centro delle unità. Ciò dovrebbe anche contribuire a ridurre il costo di produzione di un ulteriore 30-40 per cento. Quali sono I maggiori benefice della micro-generazione a cella a combustibile? La micro-cogenerazione a celle a combustibile sta già rendendo disponibili soluzioni energetiche distribuite ad alta efficienza per il riscaldamento e la produzione di energia in prossimità del punto di consumo. A dimensioni più piccole (micro), le unità sono generalmente installate in edifici residenziali o piccoli edifici commerciali e sono in grado di rispondere alla domanda di riscaldamento e acqua calda negli edifici generando energia elettrica per sostituire o integrare l’elettricità fornita dalla rete. Le celle a combustibile producono elettricità e calore dall’idrogeno, che le unità di microcogenerazione di celle a combustibile generalmente generano trasformando internamente il gas naturale dalla rete. La micro-cogenerazione a celle a combustibile non è solo altamente efficiente, ma ha anche un impatto zero o trascurabile sulla qualità dell’aria locale. Questo perché le celle a combustibile sono dispositivi di conversione elettrochimici e quindi non fanno affidamento sulla combustione. Questa tecnologia ha il potenziale per sostenere gli obiettivi climatici ed energetici dell’UE. Rispetto ad una caldaia a condensazione e ad un alimentatore di rete all’avanguardia, le unità di micro-cogenerazione Fuel Cell possono ridurre le emissioni di biossido di carbonio di almeno il 30% e in alcuni casi fino all’80%. La micro-cogenerazione a celle a combustibile è anche una soluzione per la generazione di elettricità altamente controllabile. Pertanto, in linea di principio le unità di micro-cogenerazione a celle combustibili (geograficamente) distribuite potrebbero essere raggruppate per costituire una singola centrale elettrica virtuale (VPP) controllata centralmente. Questo concetto potrebbe aiutare le utility e gli operatori di rete a superare alcuni dei principali problemi che stanno affrontando oggi, come la gestione della variabilità della generazione di energia rinnovabile. Questo deve ancora essere dimostrato su larga scala, cioè VPP con almeno diverse centinaia di unità FC. Infine, le celle a combustibile sono flessibili per quanto riguarda il carburante. Attualmente, la micro-cogenerazione a celle a combustibile funziona principalmente con gas naturale. Tuttavia, sono in grado di funzionare con una varietà di combustibili, tra cui “gas verdi” come biogas o idrogeno generati da fonti rinnovabili. In uno scenario con una grande diffusione di gas verdi, le celle a combustibile offrirebbero calore e generazione di energia. Quali sono i maggiori ostacoli da superare prima che la tecnologia di micro-generazione a celle a combustibile venga diffusa al mercato di massa? Come accennato in precedenza, i primi progetti si focalizzano sulla ricerca a livello di durata delle pile sulle celle a combustibile con l’obiettivo di aumentarne la durata. Ciò era necessario per consentire ai produttori di sviluppare prodotti per l’utente finale consoni all’ingresso sul mercato. Ora possiamo dire che siamo pronti. Il progetto ene.field ha visto l’installazione di 1.046 unità e ha contribuito a dimostrare che la tecnologia è adatta allo scopo. Le prestazioni sono state confermate sul campo e le disponibilità del sistema sono state dimostrate in linea con le esigenze dei clienti. Tuttavia, i costi rimangono alti. Questo è il caso, nonostante le significative riduzioni di costi raggiunte fino ad oggi. Come agire? Come accennato in precedenza, il progetto in corso PACE sta supportando i produttori nell’installazione di grandi volumi di unità, superiori a 500 unità per produttore. Con questi volumi, PACE dovrebbe aiutare a sbloccare le economie di scala nella produzione. Inoltre, il progetto PACE sta installando la prossima generazione di prodotti con prestazioni tecniche migliorate e nuovi progetti, portando a ulteriori riduzioni dei costi. Nel complesso, ciò potrebbe portare a ulteriori riduzioni dei costi del 30-40%. Oltre al lavoro che stiamo svolgendo a livello europeo, sono stati realizzati programmi di sostegno a livello nazionale in alcuni paesi come il Regno Unito e la Germania. In Germania, alla fine del 2016, è stato lanciato un incentivo di nuova introduzione, KfW 433, per contribuire alla creazione della micro-cogenerazione a celle a combustibile nel paese. Questo schema fornisce sostegno sotto forma di un contributo di pagamento una tantum al CAPEX, consentendo ai consumatori di ottenere una sovvenzione che ridurrebbe il loro investimento totale di 10-12.000 euro per sistema. Lo schema è progettato per aiutare l’introduzione sul mercato e mira a raggiungere vendite nell’ordine delle decine di migliaia negli anni a venire. Grazie a tutte le attività appena citate, possiamo anche vedere come gli investimenti privati ​​vengono attratti da questo settore. Ad esempio, molto recentemente un OEM delle celle a combustibile dell’UE ha ottenuto un investimento di 40 milioni di euro che consentirà l’espansione delle capacità produttive di questo OEM dagli attuali 1.500 a 16.000 generatori di celle a combustibile all’anno entro il 2020. Che cosa è stato ottenuto fino ad oggi? Ad oggi siamo stati in grado di dimostrare che la tecnologia è pronta per essere consegnata. L’UE ha sostenuto l’installazione di 1.046 unità e una quantità equivalente è già stata installata grazie al regime di sostegno nazionale tedesco. Siamo ancora lontani dalle figure del Giappone, dove sono già state installate centinaia di migliaia di unità. Tuttavia, grazie al sostegno che abbiamo fornito e all’impegno dei produttori dell’UE, ora possiamo affermare che l’UE è leader mondiale nelle applicazioni di microcogenerazione a celle a combustibile, in particolare nella tecnologia a celle a combustibile ad ossido solido. È anche importante ricordare che alcune di queste aziende sono PMI. Siamo lieti di vedere che il supporto che abbiamo fornito loro sin dalle prime fasi dello sviluppo del prodotto si è concretizzato in concrete proposte commerciali. Was ist die FCH JU und was ist ihre Mission/Zielsetzung? Das gemeinsame Unternehmen Brennstoffzellen und Wasserstoff wurde am 30. Mai 2008 durch eine Verordnung des Rates als öffentlich-private Partnerschaft zwischen der Europäischen Kommission, der europäischen Industrie und Forschungseinrichtungen mit dem Ziel gegründet, die Entwicklung und den Einsatz von Brennstoffzellen- und Wasserstofftechnologien zu beschleunigen. Unser strategisches Ziel ist es, bis 2020 Brennstoffzellen- und Wasserstofftechnologien als eine der Säulen zukünftiger europäischer Energie- und Verkehrssysteme zu demonstrieren und einen wertvollen Beitrag zur Transformation zu einer kohlenstoffarmen Wirtschaft bis 2050 zu leisten. Das FCH JU-Programm baut daher auf zwei Hauptpfeilern der Forschung und Innovation auf. Die erste Säule – Energiesysteme – umfasst Brennstoffzellen für die Kraft-Wärme-Kopplung, die Wasserstofferzeugung und -verteilung sowie Wasserstoff für die Erzeugung erneuerbarer Energien. Die zweite Säule umfasst den Verkehr, insbesondere Straßenfahrzeuge, mobile Non-Road-Fahrzeuge wie Bau- und Flurförderzeuge, Betankungsinfrastruktur sowie Anwendungen in den Bereichen Schifffahrt, Schiene und Luftfahrt. Die erste Phase der FCH JU, die zunächst unter dem Siebten Forschungsrahmenprogramm (RP7) durchgeführt wurde, dauerte sechs Jahre bis 2014 mit einem EU-Beitrag von insgesamt 470 Millionen Euro. Ihr Erfolg bei der Förderung von Forschung, technologischer Entwicklung und Demonstration im Bereich der Brennstoffzellen- und Wasserstoffenergietechnologien in Europa wurde mit der Entscheidung gewürdigt, die Finanzierung im Rahmen des EU-Horizont-2020-Rahmenprogramms fortzusetzen und auszuweiten. Diese letzte Phase, die bis 2020 läuft, sieht einen EU-Beitrag in Höhe von 665 Mio. € vor. Wie unterstützt die EU die Mikro-Kraft-Wärme-Kopplung mit Brennstoffzellen? Seit ihrer Gründung unterstützt die FCH JU stationäre Anwendungen von Brennstoffzellen, einschließlich Brennstoffzellen-Mikro-KWK-Anwendungen, im Rahmen ihrer Energiesäule. Die bisherige Unterstützung von FCH JU beläuft sich auf 233 Mio. € oder 32% unserer bisherigen Gesamtfinanzierung. Im Bereich der stationären Anwendungen von Brennstoffzellen unterstützt die FCH JU von der Forschung und Entwicklung bis hin zur Demonstration in realen Anwendungen. Die frühen Forschungsaktivitäten konzentrierten sich auf Aktivitäten auf Zell- und Stack-Ebene mit dem Ziel, die Lebensdauer von Brennstoffzellenstapeln zu verlängern. Darüber hinaus waren Forschungsprojekte von grundlegender Bedeutung, um die Kosten für Technologien in den Demonstrationsprojekten zu senken. In der zweiten Phase verstärkte die FCH JU ihre Aktivitäten in den Bereichen Diagnostik, Werkstoffe und Herstellungsverfahren. Mit Blick auf die Validierung der Brennstoffzellen-Mikro-KWK-Technologie unterstützte das FCH 2010 einen kleinen Feldversuch, bei dem rund 65 Brennstoffzellen-Mikro-KWK-Anlagen installiert wurden. Seitdem unterstützen wir große Demonstrationsprojekte. Das 2012 gestartete FCH JU-finanzierte Projekt ene.field hat die Installation von 1.046 Brennstoffzellen-Mikro-Blockheizkraftwerken für Wohn- und kleinere Geschäftsgebäude in der gesamten EU unterstützt. Die Projektergebnisse haben es den beteiligten Herstellern ermöglicht, Einblicke zu gewinnen, ihre Technologien und Geschäftsmodelle zu verfeinern und einen Track Record an Installationen zu entwickeln. Nach einer von der FCH JU in Auftrag gegebenen Studie “Stationäre Anwendungen von Brennstoffzellen”, die die Erfolge und die Roadmap für diese Technologie bestätigte, haben sich mehrere ene.field-Hersteller mit anderen Partnern in PACE zusammengeschlossen, einem fünfjährigen Projekt, um die Brennstoffzellen-Mikro-KWK-Technologie der Massenvermarktung näherzubringen. Dieses Projekt wird erneut von der FCH JU unterstützt und zielt auf die Installation von 2.650 Einheiten ab. Sie wird es den Herstellern ermöglichen, die Produktion zu steigern und die Lebensdauer der Brennstoffzellen, die das Herzstück der Anlagen bilden, weiter zu verbessern. Dies soll auch dazu beitragen, die Produktionskosten um weitere 30-40 Prozent zu senken. Was sind die Hauptvorteile der Brennstoffzellen-Mikro-Kraft-Wärme-Kopplung? Die Brennstoffzellen-Mikro-Kraft-Wärme-Kopplung stellt bereits heute hocheffiziente dezentrale Energielösungen für die verbrauchsnahe Wärme- und Stromerzeugung zur Verfügung. Bei kleinerer (Mikro-)Größe werden die Geräte typischerweise in Wohn- oder kleinen Geschäftsgebäuden installiert und sind in der Lage, den Bedarf an Heizung und Warmwasser in Gebäuden zu decken und gleichzeitig Strom zu erzeugen, der den vom Netz gelieferten Strom ersetzt oder ergänzt. Brennstoffzellen erzeugen Strom und Wärme aus Wasserstoff, die in der Regel durch interne Umwandlung von Erdgas aus dem Netz erzeugt werden. Brennstoffzellen-Mikro-Kraft-Wärme-Kopplung ist nicht nur hocheffizient, sondern hat auch keine oder nur geringe Auswirkungen auf die lokale Luftqualität. Denn Brennstoffzellen sind elektrochemische Umwandlungsgeräte und daher nicht auf Verbrennung angewiesen. Diese Technologie hat das Potenzial, die Klima- und Energieziele der EU zu unterstützen. Im Vergleich zu einer modernen Brennwert- und Netzstromversorgung können Brennstoffzellen-Mikro-KWK-Anlagen den Kohlendioxid-Ausstoß um mindestens 30 % und in einigen Fällen um bis zu 80 % reduzieren. Die Brennstoffzellen-Mikro-Kraft-Wärme-Kopplung ist ebenfalls eine sehr gut steuerbare Lösung zur Stromerzeugung. Daher könnten im Prinzip (geografisch) verteilte Brennstoffzellen-Mikro-KWK-Blöcke zu einem einzigen, zentral gesteuerten virtuellen Kraftwerk (VPP) zusammengefasst werden. Dieses Konzept könnte Versorgungsunternehmen und Netzbetreibern helfen, einige der Hauptprobleme zu überwinden, mit denen sie heute konfrontiert sind, wie z.B. das Management der Variabilität der erneuerbaren Energieerzeugung. Dies ist noch nicht in großem Maßstab nachgewiesen, d.h. VPPs mit mindestens mehreren hundert BZ-Einheiten. Schließlich sind Brennstoffzellen flexibel. Die Brennstoffzellen-Mikro-Kraft-Wärme-Kopplung wird derzeit überwiegend mit Erdgas betrieben. Sie können jedoch mit einer Vielzahl von Brennstoffen betrieben werden, darunter auch mit “grünen Gasen” wie Biogas oder Wasserstoff aus erneuerbaren Energien. In einem Szenario mit einer großen Verbreitung von grünen Gasen würden Brennstoffzellen eine kohlenstofffreie Wärme- und Stromerzeugung bieten. Was sind die größten Hindernisse, die es zu überwinden gilt, bevor die Brennstoffzellen-Mikro-KWK-Technologie in den Massenmarkt eingeführt wird? Wie bereits erwähnt, konzentrieren sich frühe Projekte auf die Forschung auf Zell- und Brennstoffzellen-Stack-Ebene mit dem Ziel, die Lebensdauer der Stacks zu erhöhen. Dies war notwendig, um es den Herstellern zu ermöglichen, Endverbraucherprodukte zu entwickeln, die für den Markteintritt geeignet sind. Wir können jetzt sagen, dass wir da sind. Im Rahmen des Projekts ene.field wurden 1.046 Geräte installiert und die Eignung der Technologie demonstriert. Die Leistungen im Feld wurden bestätigt und die Systemverfügbarkeiten entsprechend den Kundenbedürfnissen demonstriert. Dennoch bleiben die Kosten hoch. Dies ist trotz der bisher erreichten deutlichen Kostensenkungen der Fall. Also, was machen wir hier? Wie bereits erwähnt, unterstützt das laufende Projekt PACE die Hersteller bei der Installation großer Stückzahlen von mehr als 500 Einheiten pro Hersteller. Mit diesen Volumina soll PACE dazu beitragen, Skaleneffekte im verarbeitenden Gewerbe zu erschließen. Darüber hinaus installiert das PACE-Projekt die nächste Generation von Produkten mit verbesserter technischer Leistungsfähigkeit und neuen Designs, was zu weiteren Kostensenkungen führt. Zusammengenommen könnte dies zu weiteren Kostensenkungen von 30-40% führen. Zusätzlich zu der Arbeit, die wir auf EU-Ebene leisten, wurden in einigen Ländern wie dem Vereinigten Königreich und Deutschland nationale Unterstützungsprogramme eingerichtet. In Deutschland wurde Ende 2016 mit der KfW 433 ein neuer Anreiz geschaffen, um die Brennstoffzellen-Mikro-KWK im Land zu etablieren. Diese Regelung sieht eine Unterstützung in Form eines einmaligen Beitrags zu den Investitionen vor, der es den Verbrauchern ermöglicht, ihre Gesamtinvestitionen um 10-12.000 EUR pro System zu senken. Die Regelung soll die Markteinführung erleichtern und in den kommenden Jahren einen Absatz in der Größenordnung von Zehntausenden erreichen. Dank all der genannten Aktivitäten können wir auch sehen, wie private Investitionen in diesen Sektor gelockt werden. So hat sich kürzlich ein EU-Brennstoffzellenhersteller eine Investition von 40 Millionen Euro gesichert, die den Ausbau der Produktionskapazitäten dieses Herstellers von derzeit 1.500 auf 16.000 Brennstoffzellengeneratoren pro Jahr bis 2020 ermöglicht. Bis heute konnten wir zeigen, dass die Technologie lieferbereit ist. Die EU hat die Installation von 1.046 Einheiten unterstützt, und eine entsprechende Anzahl wurde dank der deutschen Förderregelung bereits installiert. Wir sind noch weit entfernt von den Zahlen Japans, wo bereits Hunderttausende von Anlagen installiert wurden. Dank unserer Unterstützung und des Engagements der EU-Hersteller können wir heute jedoch sagen, dass die EU weltweit führend in der Mikro-Kraft-Wärme-Kopplung mit Brennstoffzellen ist, insbesondere in der Festoxid-Brennstoffzellentechnologie. Es ist auch wichtig, sich daran zu erinnern, dass einige dieser Unternehmen KMU sind. Wir freuen uns, dass die Unterstützung, die wir ihnen seit den frühen Phasen der Produktentwicklung gegeben haben, in konkrete kommerzielle Maßnahmen umgesetzt wurde.